2018 Ram 3500 Review | Specs & Features | Gillette WY " "
What is the towing capacity of the 2018 Ram 3500? The 2018 Ram 3500 has a standard towing capacity of 11,910 lb and a maximum towing capacity of 31,210 lb. This year, the heavy-duty 2018 Ram 3500 is keeping you connected with a wide range of new tech features. When you choose the 8.4-inch touchscreen interface, it now comes with Android Auto and Apple CarPlay capabilities. This technology displays apps like Music and Maps on the touchscreen, so you can use these smartphone features without actually looking away from traffic. Upgrading to the 8.4-inch touchscreen also gets you a new Wi-Fi hotspot. On long trips, Ram 3500 passengers can use this technology to surf the web on their tablets and laptops. It also comes in handy on out-of-the-way construction worksites, giving you the power to shoot off a few emails whenever necessary. The 2018 Ram 3500 is also ready to serve your heavy-duty needs with additional power. Choose the heavy-duty automatic transmission for maximum towing performance from the diesel engine, which produces up to 930 pound-feet of torque. That’s up 30 pound-feet from the 2017 Ram 3500’s max output. The 2018 Ram 3500 offers your choice of three heavy-duty engines. The base engine is a 5.7-liter V8 that pumps out 383 horsepower and 400 pound-feet of torque. If you require additional kick, check out the 6.4-liter V8, which produces 410 horses and 429 pound-feet of torque for upgraded towing and hauling power. To move max loads, you need the Ram 3500’s turbocharged 6.7-liter diesel six-cylinder engine. This engine makes 350 horses and 660 pound-feet of torque. Add the upgraded six-speed automatic transmission, and output rises to 370 horses and 800 pound-feet of torque. There’s also a second, heavy-duty six-speed automatic transmission available. This increases diesel engine output to 385 horses and 930 pound-feet of torque. The 2018 Ram 3500 cabin is known for its interior refinement, outclassing competitors with its handsome, spacious cabin. And, with six trim levels to choose from, there’s a Ram 3500 for every kind of driver, whether you’re shopping for a basic, heavy-duty work truck or a luxurious, leather-lined ride to work. 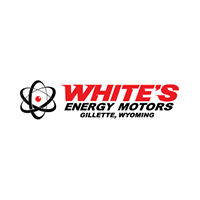 At White’s Energy Motors, we know heavy-duty trucks. Visit us to test-drive your new 2018 Ram 3500. Bring along any questions you might have about this truck’s towing and hauling capabilities. We’ll even help you sort out our financing options. Stop by today and experience the Ram’s rugged power and refined cabin firsthand.